The men and women of corporate national Israel are not raptured. The twelve apostles will serve as the judges of Israel during the Millennium. According to the Lord’s promise, they are to sit on earthly thrones. In addition, John the Revelator is also John the Apostle. Did he see himself around the throne? Did he fail to recognize the other apostles? The text does not read twelve plus twelve; it speaks of twenty-four thrones. The twenty-four elders are not the tribal leaders of Israel and the twelve apostles. “The identity of these twenty-four elders has been much debated. Some take it to refer to celestial beings, while others take it to refer to and represent the church. While the text does not clearly state as to what these twenty-four elders refer, there are clues in the text by which their identity can be deduced. First, these elders are clothed with white garments which throughout the Revelation are symbols of salvation. Celestial beings before the throne of God do not need salvation for they were not lost to begin with. But these elders were at one time lost and at some point received salvation as is seen by their wearing of the white garments. “Hence, from these three clues, the twenty-four elders must represent the church saints. If this is true, then they provide further evidence for a pre-tribulation Rapture. 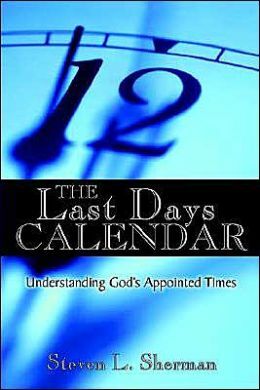 The church is already in heaven in chapter four and five before the tribulation begins in chapter six.” (The Footsteps of the Messiah, p.114). and saw two angels in white, seated where Jesus’ body had been, one at the head and the other at the foot. The second argument that can be made against Fruchtenbaum’s reasoning is that stephanos crowns, which Fruchtenbaum calls “overcomer” crowns are not worn exclusively by “overcomers” or church saints. 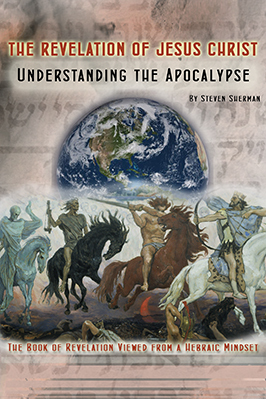 In Revelation 6:2 the rider on the white horse wears a stephanos crown, in Revelation 9:7 the demon-locusts from the pit wear stephanos crowns, and in Revelation 12:1, the woman, who represents Israel, also wears a stephanos crown. Clearly these crowns do not exclusively refer to Church saints. “A third clue lies in their very title of elders. Nowhere else in Scripture is this term used to describe celestial or angelic beings. This term is used of humans in positions of authority either in the synagogue or church.” But where did this office of elder originate? The sons of Aaron were Nadab, Abihu, Eleazar and Ithamar. But Nadab and Abihu died before their father did, and they had no sons; so Eleazar and Ithamar served as the priests. With the help of Zadok a descendant of Eleazar and Ahimelech a descendant of Ithamar, David separated them into divisions for their appointed order of ministering. A larger number of leaders were found among Eleazar’s descendants than among Ithamar’s, and they were divided accordingly: sixteen heads of families from Eleazar’s descendants and eight heads of families from Ithamar’s descendants. This appointed order of ministering by rotating among twenty-four priests was commanded by the LORD. When Aaron received the regulations concerning the duties of the Levites, he wrote them down. Generations later, during the time of King David, the tribe of Levi had grown to twenty-four clans. The heads of these tribes served as priests in the Temple according to God’s commandment. The promise for those who overcome by the blood of the Lamb and the word of their testimony is to sit on the Father’s throne. When the saints are glorified at the rapture, they will not be sitting on 24 thrones around the Father’s throne, they will be sitting on the Father’s throne. 3) Each heavenly particular of John’s vision — the throne, four living creatures, and millions of angels are interpreted as literal. Therefore, there is no biblical precept for spiritualizing the 24 elders as anything but 24 elders. Around God’s throne are four cherubim, twenty-four elders, and one hundred million angels. The twenty-four elders of Revelation are a priestly order of angels which served as a pattern for the priestly rotation who ministered in Solomon’s Temple. “Make an atonement cover of pure gold-two and a half cubits long and a cubit and a half wide. And make two cherubim out of hammered gold at the ends of the cover. Make one cherub on one end and the second cherub on the other; make the cherubim of one piece with the cover, at the two ends. The mercy seat was patterned after the Father’s throne. Since the 24 elders surround the throne, I would conjecture that they have a role related to the priesthood in being able to “draw near” to the throne of God just as Aaron’s sons were able to draw near to the divine presence. Then he said to Korah and all his followers: “In the morning the LORD will show who belongs to him and who is holy, and he will have that person come near him. The man he chooses he will cause to come near him. After this I looked, and there before me was a door standing open in heaven. And the voice I had first heard speaking to me like a trumpet said, “Come up here, and I will show you what must take place after this.” At once I was in the Spirit, and there before me was a throne in heaven with someone sitting on it. It is poor hermeneutics to interpret everything in John’s vision as literal and then claim that the elders that are seated between the literal multitude of angels and the literal divine presence on the throne are a symbolic group that represent the supposed pretribulational raptured church.